Price action trading system is most accurate to take on our chart analysis. Especially using on higher time frame on four hour and daily chart. Because on smaller time frame give us a noise signals that only suitable for scalpers and not recommended for primary parameter for long term trading signals. Because of this price action is very recommend using on four hour time frame or better on daily chart. 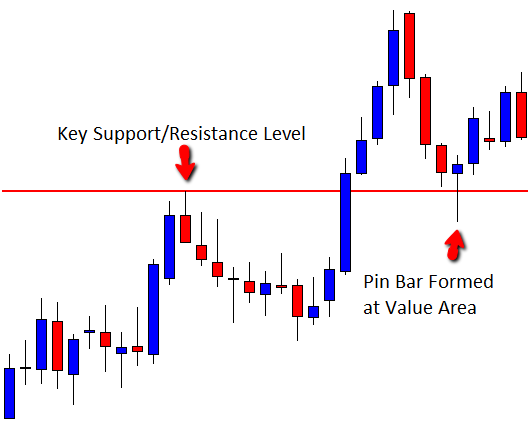 Price action trading system is the best trading system that suitable for almost professional traders because this price action using candlestick basics as their basic anaysis. Price action strategies is different than intraday trading system, because price action trading analysis usually using daily time frame so almost price action daily chart give us a floating orders in several days and of course make a huge of pips. And don’t forget still wise with our lots because one of the most important to protect our money is money management it self. From picture above we can analyze that GBPUSD 90% go to 1.5862. Why ? Because last bar have closed price above 1.5808 and if next candle closing above 1.5862 so price will continue to 1.6009 but we can place sell limit on 1.5862 for scalping because usually on that 1.5862 is filter continue trend or counter trend. And if price cannot break this level of 1.5862 so price will down to 1.5680. If price go down to 1.5680 surely we can buy on this key level 1.5680.And price action setup still need trendline from big time frame at least four hour time frame so at least we know location strong support resistance based this trendlines. This scenario above is taken based on price action trading system. So this price action trading strategy is very accurate to analyze chart without guessing. I’ve hope this article about price action trading system can make us get steady profit weekly. So we can withdrawal on weekly by using this great price action trading system or learn more this price action e-book to get more comprehensive reference so we can get more precisely in getting trading signals daily or weekly.